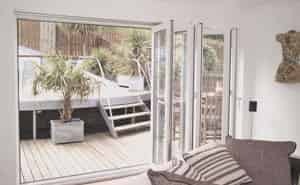 Bi-fold doors in Cardiff will look fantastic when seamlessly connecting your home with your garden space. These highly fashionable and desirable bi-fold doors offer top of the range versatility and design. A bi-fold door from Inspire Windows will really open up your living environment to create a natural extension to your home. Bi-folding doors can change the way you live in your current property as you learn to maximise and make the most of the room you have available. 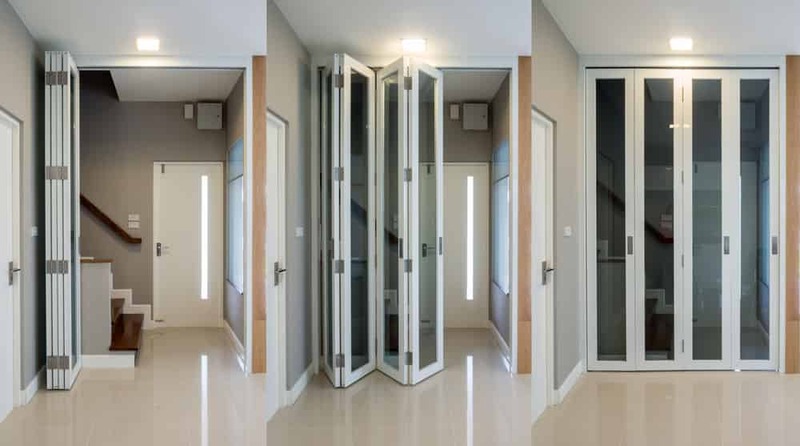 You will be amazed by the difference bi-fold doors can make to the lightness and brightness of your home. Your new bi-folding doors can be created to complement your property. Perfect for both traditional properties to add that modern touch or for new build homes to maintain their fashionable style, your patio doors will fit completely with your existing style. 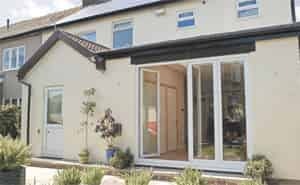 Our bi-fold doors in Cardiff will make a beautiful addition to a newly extended property, enhancing your contemporary build whilst providing effective insulation. Bi-folding doors are extremely easy to operate. With their flexibility, when fully opened they fold neatly upon themselves to create an unrestricted open plan living area. A bi-fold door from our trusted supplier Rehau offers thermal insulation that is second to none. Due to the state of the art weather seals your home will remain dry and warm even through the worst of the Welsh weather. All our bi-fold doors comply with Part L Building Regulations when the glazing unit is 1.8W/m2K overall. Rehau’s three-chamber profile ensures improved thermal performance and energy efficiency to make sure very little heat is lost through your new bi-fold doors. A bi-fold door from Inspire contains a unique material that allows for a smooth gloss finish to maintain a beautiful aesthetic. They will never need painting or varnishing – a simple wipe with a damp cloth will keep them looking pristine. Each double glazed unit will reduce any external noise allowing you to benefit from a peaceful home environment. Our bi-fold doors come fully fitted with highly secure locking mechanisms that offer excellent safety and protection. The choice is yours – we can install anything up to 7 panes of glass in your new bi-fold doors which can be joined in a number of ways. The master door can be locked on the left or the right side to suit your current property’s access. The doors are also highly flexible and versatile as they can be bi-fold or multi-fold. Our double glazed bi-fold doors in Cardiff allow you to have the doors partially or fully open depending on your requirements. Open them fully for a social occasion of just open one panel to let fresh air circulate through your home. Due to their unrestricted access, bi-fold doors are perfect for the interior and exterior to create an open plan living space your friends will adore. The large glass panes will provide you with a wonderful view, whilst allowing your room to flood with natural light.